Major General Lionel F. Page, was a member of the local Red Deer militia in the early part of the last century and a veteran of both the First and the Second World Wars. Lionel Frank Page was born in Fordingham, Yorkshire, England on Dec. 17, 1884. He was left fatherless at a young age. As he entered his late teens, he decided to move to Western Canada to start a better life for himself. He enrolled as a student at Berkhamsted School, on what is now the southeastern edge of Red Deer. This school had been established by Canon T.C. Fry, the Anglican Dean of Lincoln, who wanted to teach young Englishmen the skills to become successful farmers and ranchers. Lionel Page was a good student, but not all that fond of farming. Nevertheless, in 1906, he bought a quarter section of land in what is now the Rosedale subdivision of Red Deer. He also enlisted in the newly formed 15 Light Horse Regiment. In 1907, Page brought his widowed mother, Augusta Emma, out to Red Deer. She lived for a while on the farm, but later established a boarding house. During the great boom of 1912, Page sold his land to Edward Michener and E. M Willson. Page went into the real estate business and became a stockbroker for local oil companies. In 1913, he was commissioned as an officer with the militia’s new 35 Central Alberta Horse. 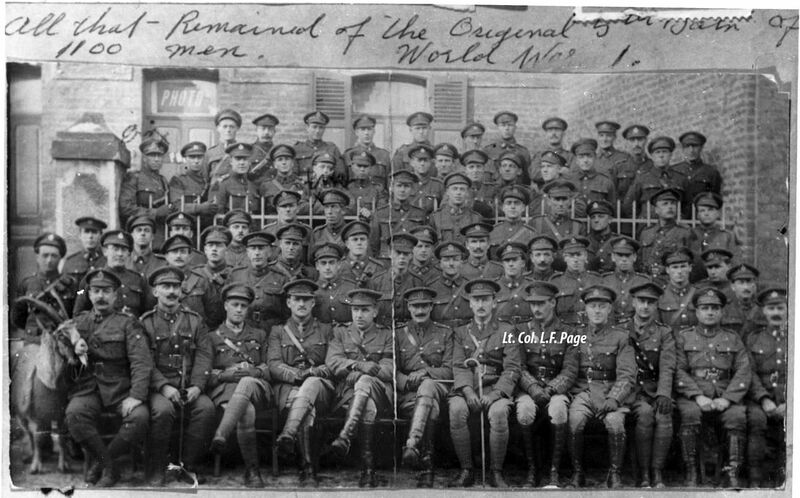 When the First World War broke out in August of 1914, Page quickly volunteered for overseas service and became a member of the First Contingent of the Canadian Expeditionary Force. 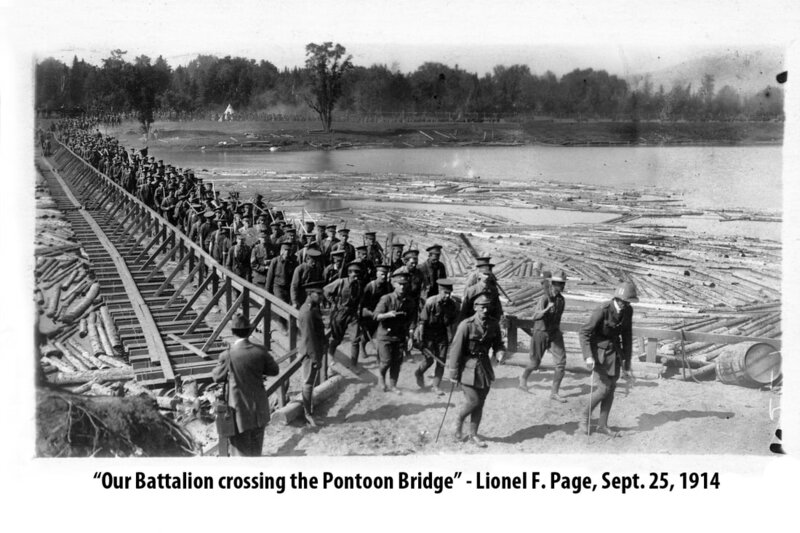 Page became part of 5th Infantry Battalion. He saw service at the horrific Battle of St. Julien in April 1915, where poison gas was used as a weapon for the first time. He distinguished himself for his composure in battle and was quickly promoted first to captain and then major. On Sept. 11, 1915, he married Rose Whitehouse. 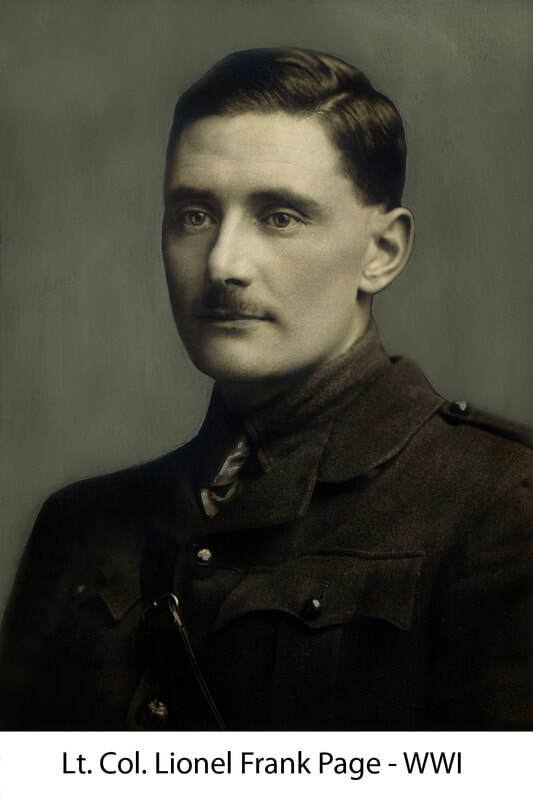 In March 1917, Page became a lieutenant colonel and the commanding officer of the 50 Battalion. After the birth of his daughter Patricia in 1916, Page began writing a series of poems to her from the trenches. These poems are often credited with creating Patricia’s strong interest in writing poetry. On New Year’s Day, 1917, Page was awarded the Distinguished Service Order for conduct under fire. He was later awarded two bars to his D.S.O. and was wounded twice in action. After the War, Page returned to Red Deer with his family, but then moved to Calgary where he re-enlisted with the Lord Strathcona’s Horse. He was promoted to Lieutenant Colonel and became the L.S.H.’s commanding officer in 1929. When the Second World War broke out, Page was promoted to Brigadier General. In 1941, he was placed in command of the Canadian forces in Iceland. 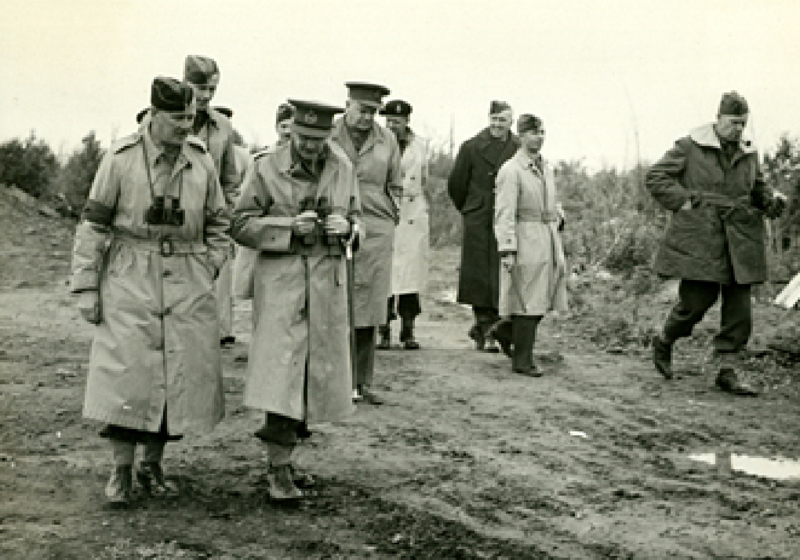 In 1941, he was named the Major General with the 4 Canadian Armoured Division. In July 1943, he was named the Commander in Chief of the Canadian Army’s Atlantic Command. He was also made a Companion of the Order of Bath (CB), the fourth-most senior rank of the British Orders of Chivalry. Tragically, Lionel Page passed away from the effects of the gas attack he endured in WWI, on Aug. 26, 1944 at the age of 59. He was survived by his wife Rose, daughter Patricia and son Michael, who graciously donated these photos of his father from his time with the 5th Battalion. Patricia Page later became famous as one of Canada’s leading literary figures and poets, writing under the name P.K. Page. Major General PAGE, LIONEL FRANK Died 26/08/1944 Aged 59 General List, Canadian Army C B, D S O Son of Henry James Page and of Augusta E. Page (nee Jones); husband of Rose Laura Page (nee Whitehouse), of Halifax. The distinguishing patch of the 5th Battalion (Western Cavalry), CEF. Commemorated on Page 410 of the Second World War Book of Remembrance.